During the summer months, you can expect to find traditional music sessions each night at most of the area pubs. Impromptu sessions by local musicians can occur year round at any time of the day or evening. All of the restaurants in the area are located so close to the sea, that the variety and quality of the seafood served in the area is second to none. It is very easy for one to become enchanted with this beautiful area that touches the Atlantic Ocean and is overlooked by the splendour of Mount Brandon . . . especially when one takes the time to explore the area on foot. 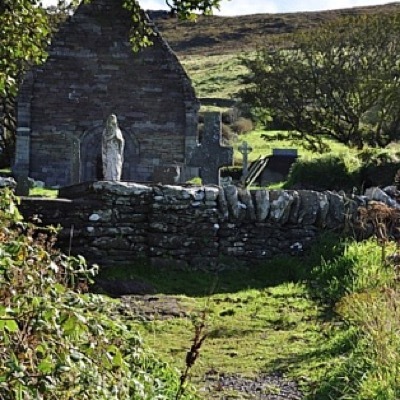 As well as walking the Dingle Way and the Saints Road, one can also trek along various mountain and cliff walks or discover the many archaeological sites which remain as a reminder of the thousands of years of history attached to the area. 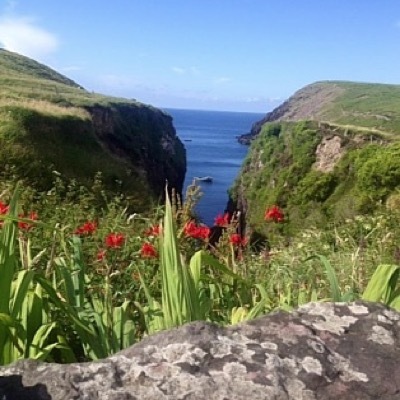 For more information on walks in the area, contact the Dingle Tourist Office in Dingle Town, or call in to T.P. 's Pub at Ballydavid. The area is easy to explore on bicycle as the roads are quiet and the area is relatively flat and easy to cycle. Many of the archaeological sites can be easily visited by bicycle, too.